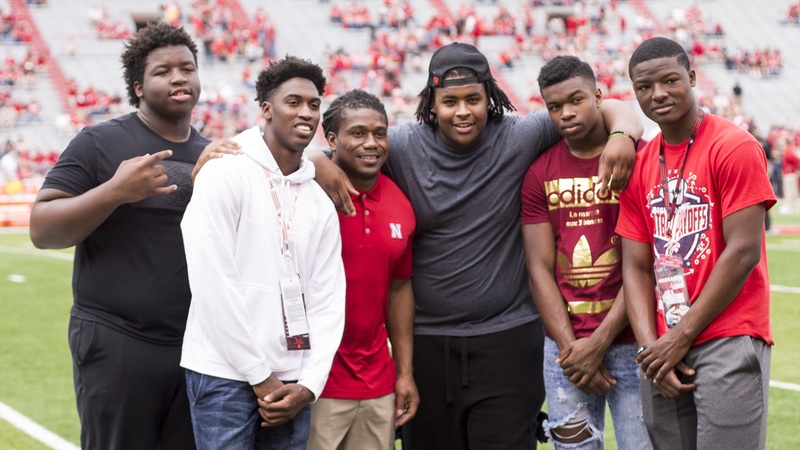 Marquez Beason, pictured in the white sweatshirt in the photo above, has decommitted from Nebraska. The 2019 wide receiver prospect made the announcement on Twitter. Beason committed to Nebraska on April 15 after visiting the Huskers for the annual spring game. The Dallas, Texas native was Nebraska's only commitment in the 2019 class at this time. Nebraska will remain a "top school" in Beason's recruitment, as he noted in his Twitter statement. However, after a flurry of offers, Beason wanted to explore other options. He recently picked up offers from Texas, UCLA, Ohio State, Georgia and others. He plans to take some visits this summer.